We always wanted to canoe in the Pine Barrens, and finally we strapped it on the Subaru and headed out to an area that had promise. 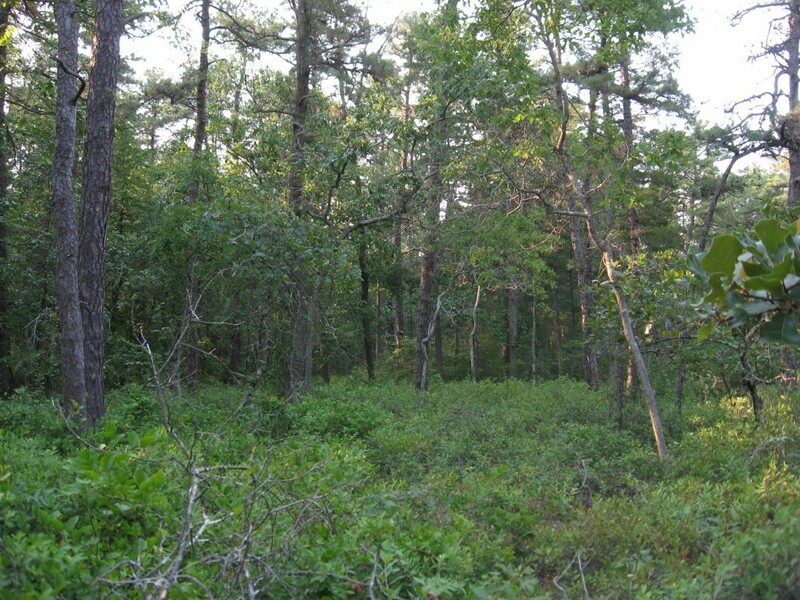 The Mullica River looked enticing with its many bends and its remote location. It is so easy to go canoeing once it is on the car and we know where to go. We found this river on a map and the canoe dock by accident. We generally go pretty slow, and make very little distance, being that we are on the lookout for scenes of botanical interest. Author and photographer Brian Solomon, pictured above, was amused whenever we got excited about a plant we recognized along the shore. 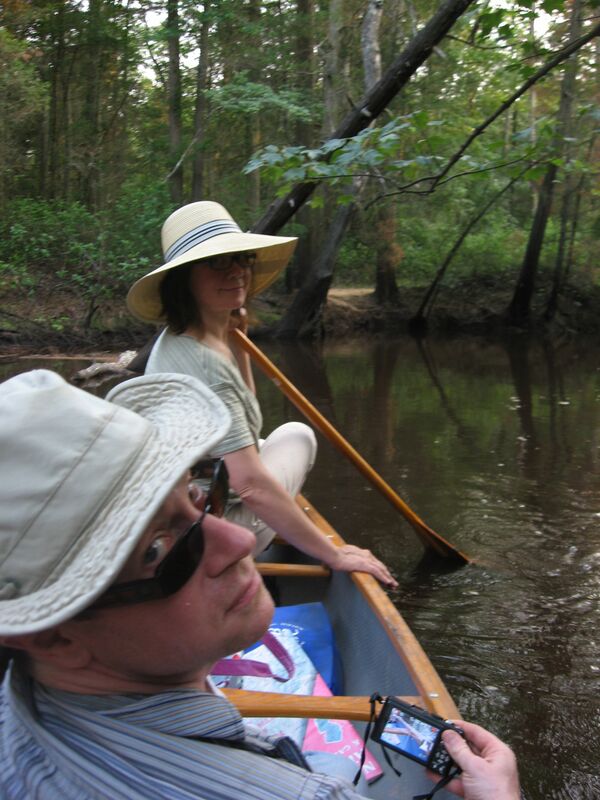 We steered the canoe towards the plants and took our time. 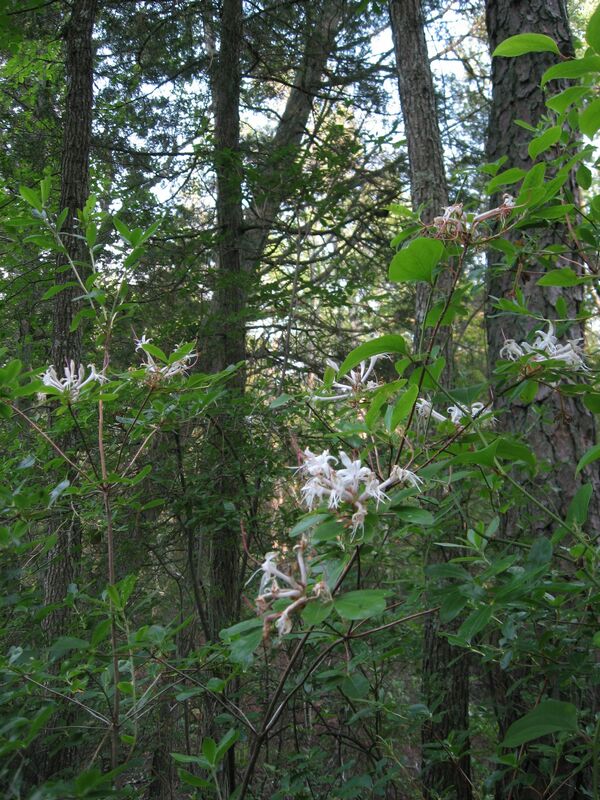 There were beaches along the river, and we stopped and walked around the land, looking at blueberry bushes and the blooming Swamp Azalea, Rhododendron viscosum. This is the woodland scene near the parking lot, richly vegetated with understory blueberry. Sandy beaches remind us of this land being an ocean beach in a fairly recent geological past. 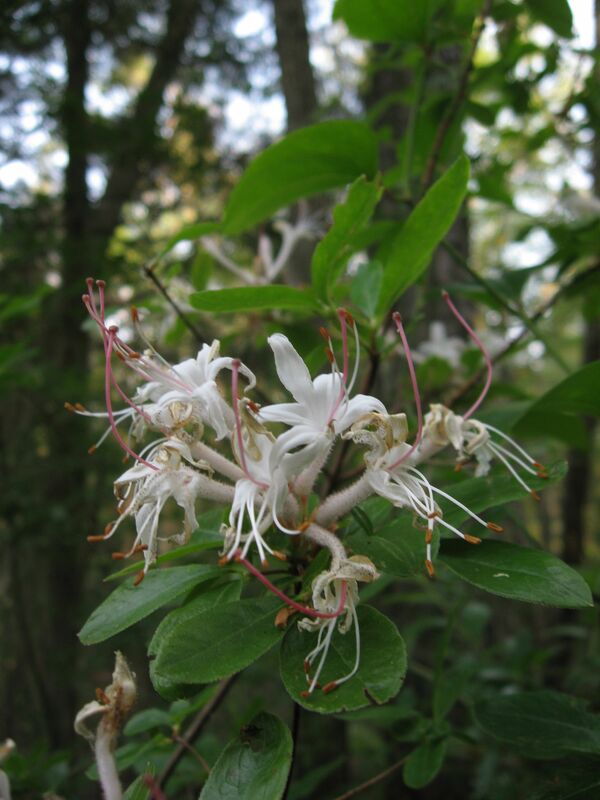 Finding the blooming Swamp Azalea was memorable. We have two in our garden and have never seen one in its natural habitat. The flowers filled the air with an enchanting aroma, and there was a frenzy of excitement over the discovery. 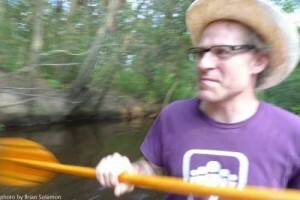 The canoe was rowed towards the edge of the river to get a closer look. We posed with the shrub. Above, Isabelle is posing with the blooming Rhododendron viscosum flowers above. We heard about this place in Bucks County, Pennsylvania for years and we finally made it up there. It is this place where there is a field of rocks that ring musically when they are lightly struck with a hammer. 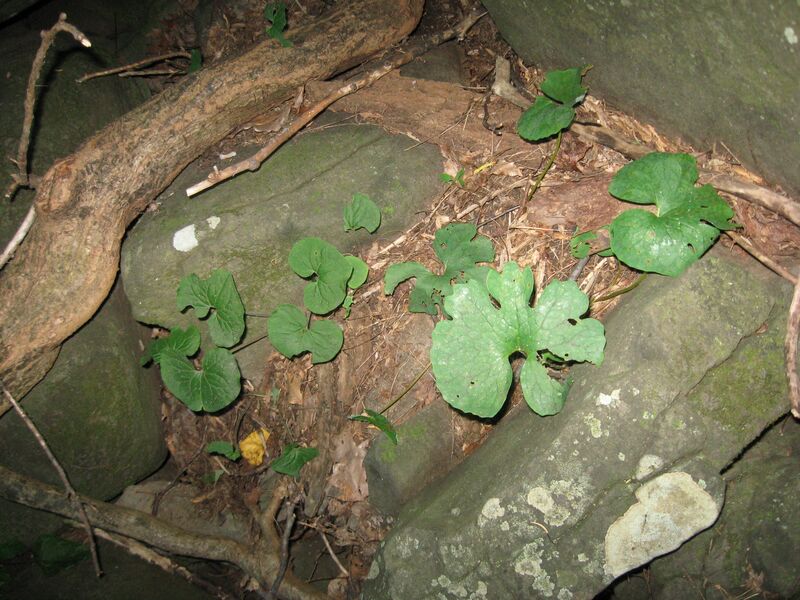 We heard that there is a lot of Wild Ginger (Asarum canadense) growing in this County park. Dont forget your hammer! – Our recollection of the guidebook we forgot suggested. In a flurry of backpacks, maps, batteries, weather forecasts, traffic reports, lunch preparations, digital devices, shoe choices and hat combinations, we forgot the hammer. The tire iron found in the spare tire compartment turned out to be the thing-a-ma-bob that did the job! We tapped on a multitude of different rocks in this 4 acre boulder field and heard lots of different musical tones. Many of these rocks have been tapped on for years and all the right spots were long ago discovered, so much so that the best rocks had depressions in them where they had been hit so many times at the best spots. This made for a self-guided tapping tour of the Ringing Rocks Park boulder field pictured above. The rocks made for great entertainment, and hearing them ring so musically was enchanting. It all started about 200 million years ago, in a time named the Early Jurassic Period. Liquified rock from the upper mantle of the earth called Diabase forced its way into the solidified part of the earth called the crust, and broke into a space between the hardened sedimentary Shale rock layers filling up a huge area spanning from what is now Pennsylvania into New Jersey. This horizontal layer of the igneous rock, Diabase is called a Sill. The sill was created when the diabase in magma form was able to break through to the higher layers of sedimentary rock because the continental mass was stretching apart, creating cracks in the upper surface of the earth. The magma was under intense pressure from the weight of rock above it and was squeezed through the cracks into a narrow space between the sedimentary layers. Once the magma settled into its spot, it began to cool. During the process of cooling, minerals began to form as elements that were attracted to each other were able to connect within the superheated amorphous mass. The longer it takes to cool, the more complex and interesting developments of mineral combinations can be found. In the case of our diabase sill, The minerals Olivine and Pyroxene formed into crystals, which were denser and heavier than the liquid, and they settled to the bottom of the cooling sill, in a layer about 10 feet thick. Eventually the whole sill cooled into a hard rock, and this rock can be found today, in outcrops across portions of Eastern Pennsylvania and New Jersey. The bottom of the sill, the ten foot thick layer containing the Olivine and Pyroxene crystals is the one that created the boulder fields of ringing rocks. 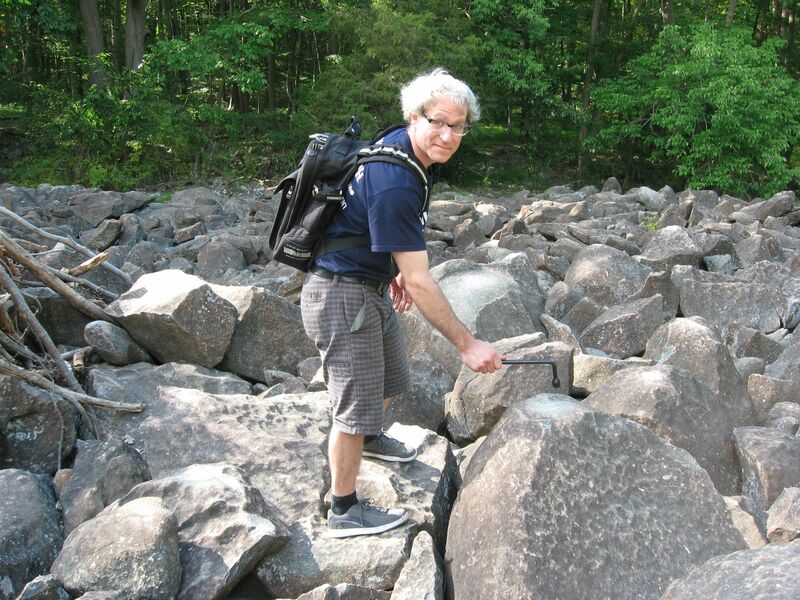 However, there are only a handful of boulder fields of ringing rocks that exist, because to get to such a state that not only is there a boulder field, but to have that boulder field have ringing boulders requires very specific conditions. The ‘live’ rocks that actually ring are the product of a very specific series of events and conditions. While very little is known beyond conjecture of what exactly makes them ring in the way they do, it has been established that specific geological conditions predate the boulder fields: The diabase sill was close to a mile below the surface of the earth and had undergone severe compression from the weight of the rock above it, creating internal stresses. There was the uplifting of the diabase sill from the erosion of rock overhead over the past 200 million years. There was an ice age with massive glaciers which never reached the Diabase sill, but created the conditions of periglacial freezing and thawing of ice around the sill, enough to break it apart into boulders. And lastly, the newly broken up boulder field must be on a slope of less than 25 degrees dip, but not flat either, somewhere around 15 degrees slope. If the slope is too steep the rocks will roll away from the force of gravity. 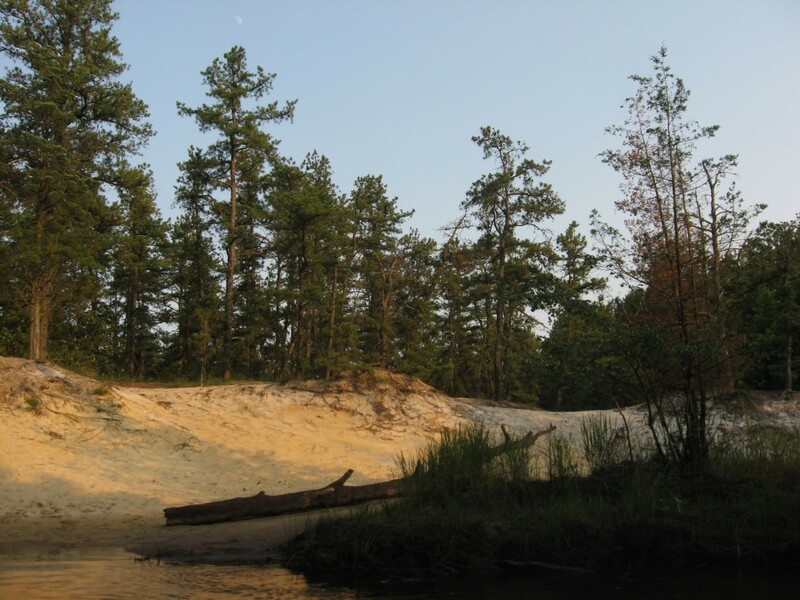 If the slope is too gradual, sand and silt will accumulate into soil instead of washing away, and the boulder field will disappear under the roots of a forest. 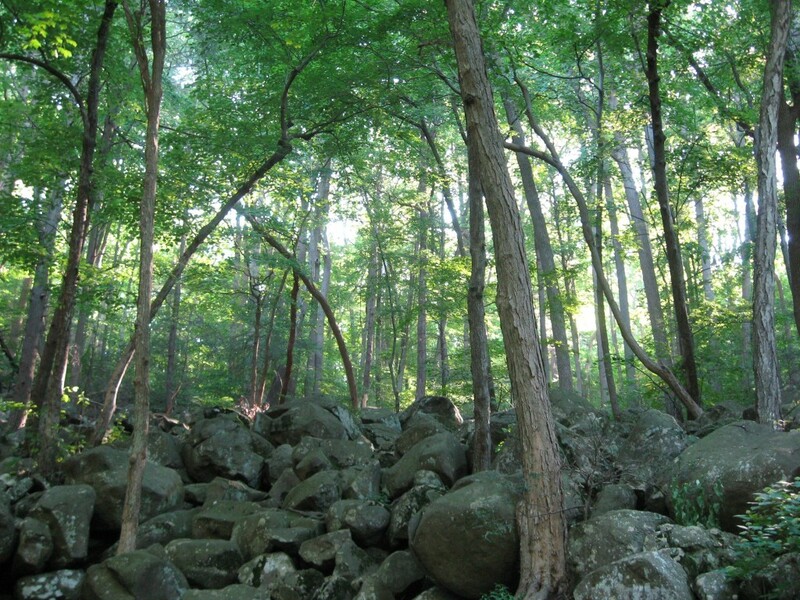 Once the boulders are surrounded by the trees, associated plant life, soil and the resulting moisture retained , they lose their ringing ability and go from ‘live’ to ‘dead’. This is because the weathering moisture penetrates into the rock and loosens up its inner tension. As long as the boulder field has no soil or trees or continual moisture around it, it will continue to ring. Here the slope was too steep for the boulder field and the rocks had rolled away. They ended up in this place that collected soil and now trees grow amidst the ‘dead’ boulders. 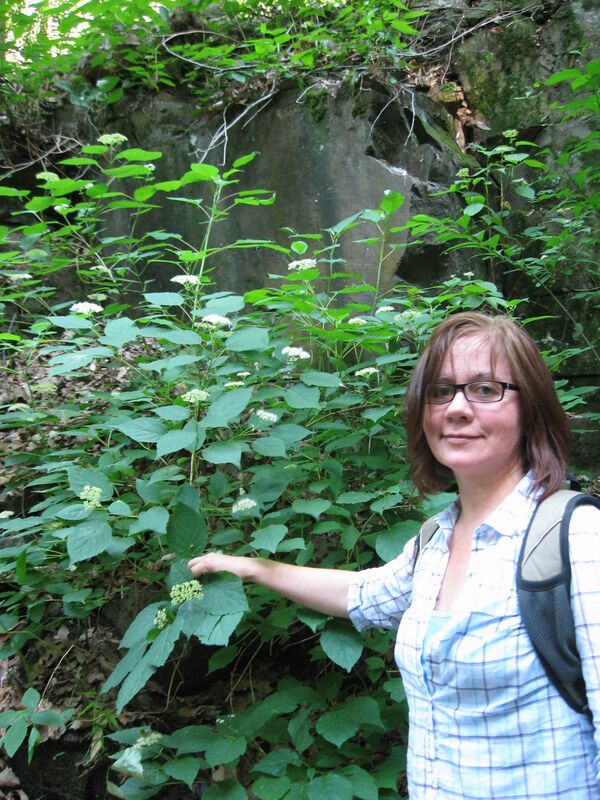 Onto other things, Isabelle was delighted to discover the native shrub Hydrangea arborescens, the straight species, just growing along the waterfalls in the Ringing Rocks Park. We have this plant in our garden, and it has been all the buzz. The bees and a a multitude of interesting insects have been feasting on our native Hydrangea. We feel like our shrub is supporting an ecosystem. It is one of our favorite things to find one of our native plants we bought at a nursery just growing in the wild! Every time we find one, it is a memorable and fantastic discovery. 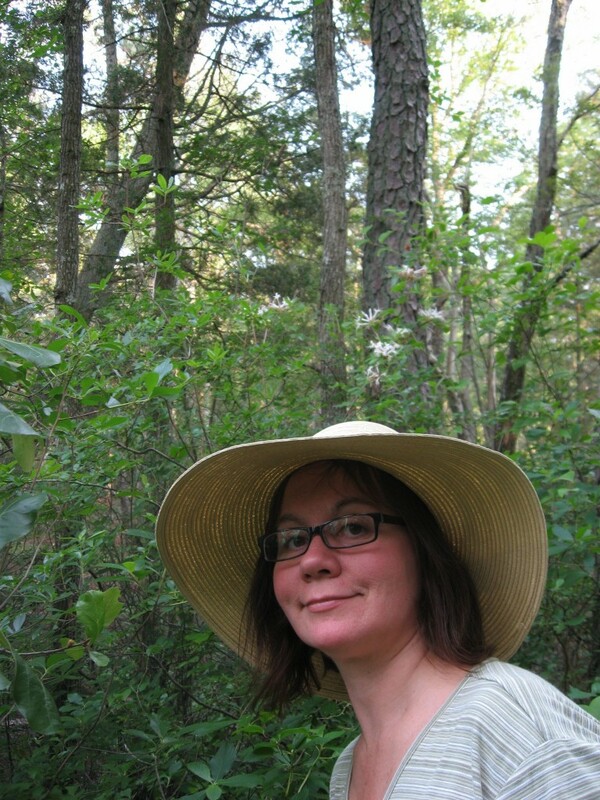 It also helps us understand where to place our native plants if they are not doing well. 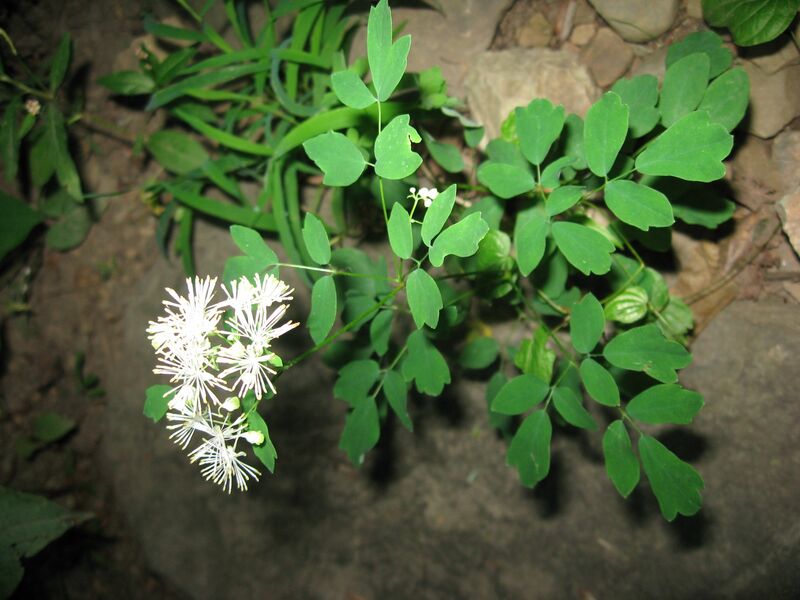 We were unable to identify this plant. We guess it is a Rue something or another. Bloodroot (Sanguinaria canadensis) and Ginger (Asarum canadense) growing together on the moist rocky slope. 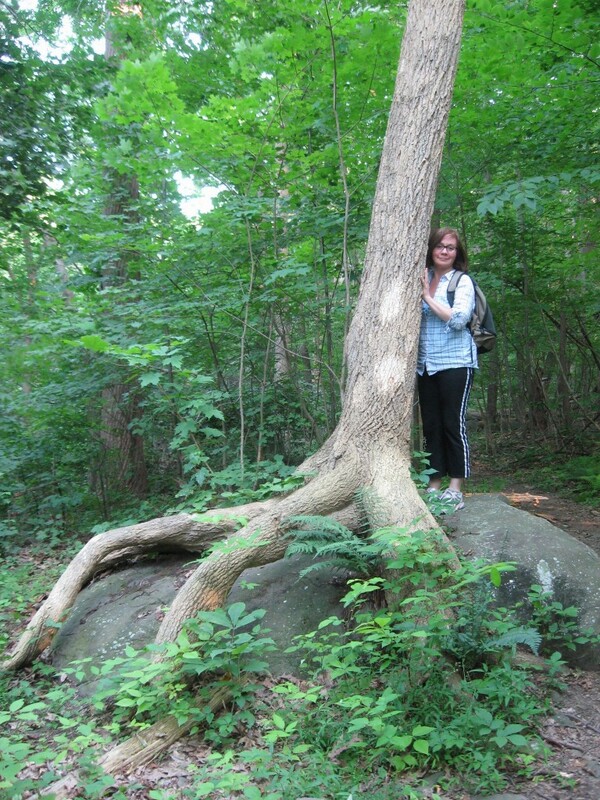 This ash tree was growing right over one of the boulders. These christmas ferns (polystichum acrostichoides)give us some garden ideas and also remind us of the legacy of plant life on earth. This is a great place to interact with an interesting geological feature, giving us the opportunity to meditate upon the mind- bending age of the earth. All of us, including the plants are created from these rocks. The longer it takes for liquid magma to cool, the more complicated the interactions of the elements can be, creating a diverse array of minerals, many of which form the building blocks of life forms. Likewise, the incredible age of these rocks, many of them having been created and broken down many times only to begin breaking down again before our eyes, has created a condition suitable for complex life forms to evolve. Now, life has created a chemistry of its own, further interacting with the geological layers, and even forming new geologic layers, such as coal. 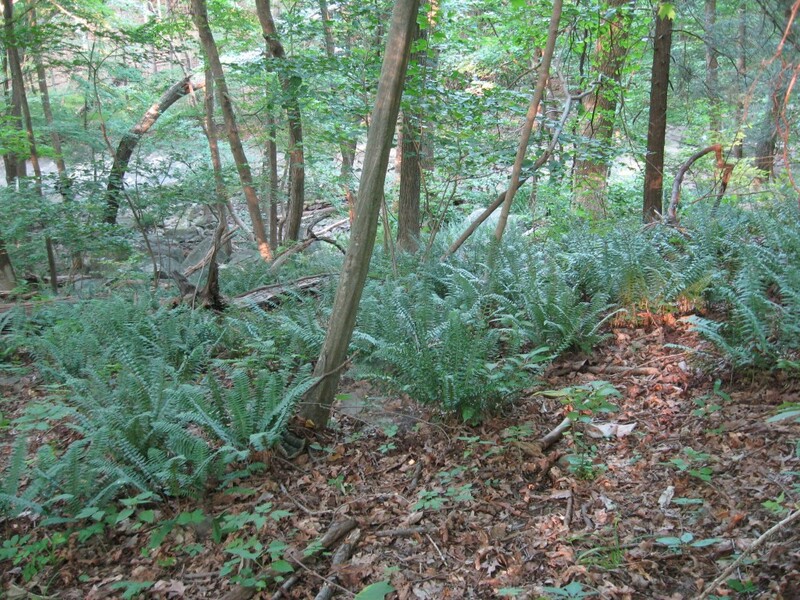 In Pennsylvania, there are layers of shale rock that can be broken open with a hammer to reveal fern fossils, resembling the Christmas fern pictured above, as long as one can remember to bring the hammer!